Shyanne's legal interest began as she was assisting a local attorney on death penalty cases. After being admitted to practice law, she continued her work on the death penalty cases and maintained a general practice of her own until joining our office in October 2017. She has a passion for advocacy and defends both misdemeanors and serious felony charges throughout Middle Tennessee. Shyanne is admitted to practice law in Tennessee State Courts as well as Federal Court. She is experienced in appellate brief writing and argues appeals before the Tennessee Court of Criminal Appeals. 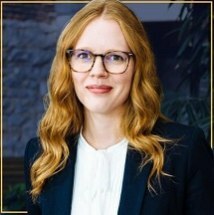 Shyanne trained in Wyoming at the Trial Lawyer's College, and she is a State Ambassador for the DUI Defense Lawyers Association and a member of the Tennessee Association of Criminal Defense Lawyers. Additionally, Shyanne volunteers for Habitat for Humanity, Tennessee Immigrant and Refugee Rights Coalition, and Advocating Opportunity.